Many people question the need to pull a permit for a wide variety of remodeling and upgrading projects, but it is definitely best for everyone involved to follow all of the proper legal guidelines. In fact, failure to get a permit for each legally mandated project can lead to a long list of future complications. 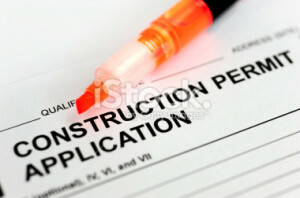 Why are construction permits so important? From a purely financial standpoint, pulling a permit is important because it can help protect you and our company from an unexpected lawsuit due to an injury that is caused by the repaired or remodeled area. Unfortunately, many homeowners and businesses have paid the price for skipping this essential step, and this often leads to fines that are more expensive than the permit itself. Going through the proper permit and inspection process will help alleviate your risk of receiving substandard work from a contractor, and it will also make it easier to sell your home later on. What if a contractor does not pull a permit? One of the biggest indicators that you are working with someone who is not a professional is if they fail to pull all of the necessary permits in a timely manner. Essentially, you should look at this aspect of your project as a way of testing whether or not you have chosen a reputable contractor to take care of your needs. Make sure that you never let anybody start working without obtaining permits for any work that your local laws deem permit worthy. It is important to note that each city has its own guidelines, and some things might not require a permit. However, you need to ensure that this is the case before you allow someone to begin working on your property. Again, pulling permits as required can help protect you legally, and it will also allow you to avoid the nightmare that is involved with selling a home that has undergone repair or remodel work without the necessary paperwork in place. What is the process of pulling a permit? The process of pulling a permit is extremely easy. Typically, the contractor will include the cost of the permit in their quote, and they will pull the permit from the city. Next, they will coordinate with the appropriate inspector to make certain that everything happens as needed and any necessary tweaks are completed so that your project fully passes the inspection. If you are uncertain if your contractor is following these steps, ask them for proof that the permit was pulled and make plans to be at home when the inspector comes.